Public involvement in research on smoking cessation is usually limited to engaging with smokers as research participants. This type of involvement yields limited insights into what active smokers and those trying to quit really think about tobacco control policies and interventions. This presentation will explore the issue of public involvement in research and policy discussions through the eyes of a smokerâ€™s panel established by the UK Centre for Tobacco Control Studies. 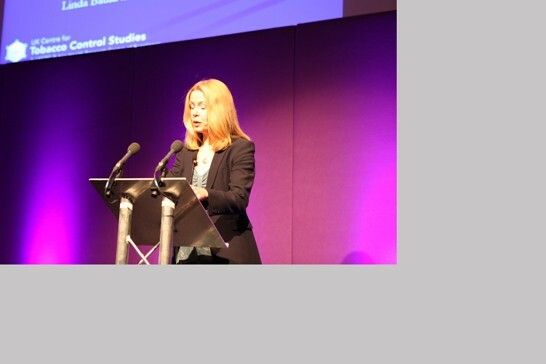 It will introduce findings from the literature on how public involvement can influence the research agenda and the potential impact on the public and researchers. Â The views of the smokerâ€™s panel in relation to key themes in smoking cessation and tobacco control will be outlined, drawing in particular on the experience of one panel member and co-presenter. The presentation will conclude by asking whether involvement makes a difference and what factors influence its impact on research, with implications for smoking cessation service delivery. Source of funding: UK Centre for Tobacco Control Studies grant, funded by the UK Clinical Research Collaboration.